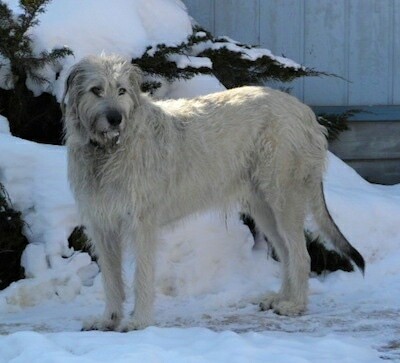 The Irish Wolfhound is a giant-sized dog, one of the tallest breeds in the world, reaching the size of a small pony. The head is long and the skull is not too broad. The muzzle is long and somewhat pointed. The small ears are carried back against the head when the dog is relaxed and partway pricked when the dog is excited. The neck is long, strong and well arched. The chest is wide and deep. The long tail hangs down and is slightly curved. The legs are long and strong. The feet are round, with well-arched toes. The wiry, shaggy coat is rough to the touch on the head, body and legs and longer over the eyes and under the jaw. Coat colors include gray, brindle, red, black, pure white or fawn, with gray being the most common. 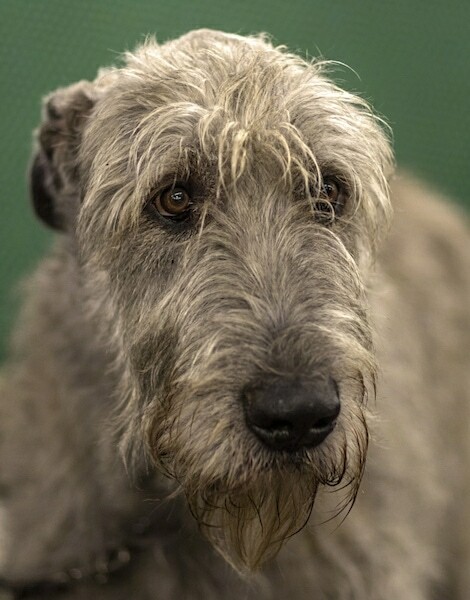 Irish Wolfhounds are sweet-tempered, patient, kind, thoughtful and very intelligent. Their excellent nature can be trusted with children. Willing and eager to please, they are unconditionally loyal to their owner and family. They tend to greet everyone as a friend, so do not count on them being a watchdog, but may be a deterrent simply due to their size. This giant breed can be clumsy and are slow to mature in both body and mind, taking about two years before they are full grown. However, they grow rapidly and high-quality food is essential. While it is important to take a growing pup for daily walks for their mental well-being, hard exercise should not be forced and may be too taxing for this dog's body when it is young. Teach it not to pull on its leash before it gets too strong. The Irish Wolfhound is relatively easy to train. He responds well to firm, but gentle, consistent, leadership. This approach with plenty of canine understanding will go a long way because this dog quickly grasps what you intend. Make sure the young dog is given as much self-confidence as possible and that you are always consistent with it, so that it grows into an equable, confident dog. This calm dog gets along well with other dogs. This is also true with other animals. The Irish Wolfhound can reach up to 7 feet tall when standing on his hind legs. Prone to cardiomyopathy, bone cancer, bloat, PRA, Von Willebrands, and hip dysplasia. The Irish Wolfhound is not recommended for apartment life. 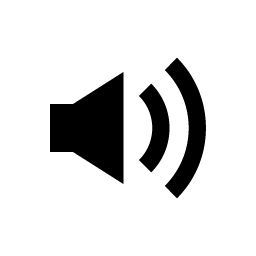 It is relatively inactive indoors and will do best with at least a large yard. This is a giant breed that needs some space. It may not fit well in a small or compact car. It needs to be part of the family and would be very unhappy in a kennel. Being a sighthound, it will chase and so need a secure, fenced area for exercise. These giant dogs need lots of space to run, but do not need any more exercise than smaller breeds. They need a daily walk where the dog is made to heel beside or behind the human holding the lead. Never in front. Like many other giant breeds it is important to remember that too much forced, vigorous exercise is not good for a young dog's growth and development, so watch your puppy for any signs, but they still instinctually need a daily walk. The rough, medium-length coat needs regular and thorough grooming with a brush and comb. This with keep the coat in good condition. About once or twice a year pluck the coat to remove excess dead hair. This breed is an average shedder. 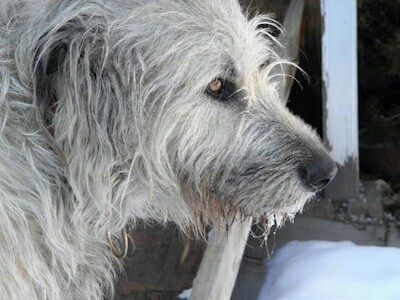 The Irish Wolfhound's name originates from is use as a wolf hunter, and not from its appearance. This is a very old breed with Roman records dating as far back as 391 AD. They were used in wars, and for guarding herds and property and for hunting Irish elk, deer, boar and wolves. They were held in such high esteem that battles were fought over them. 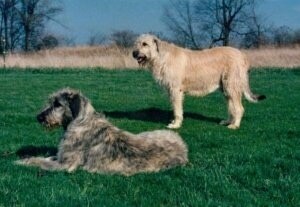 Irish Wolfhounds were often given as royal presents. Boar and wolf became extinct in Ireland and as a result the Irish Wolfhound declined in population. A British army officer by the name of Captain George Graham bred them in the second half of the 19th century. The breed was restored by the introduction of Great Dane and Deerhound blood. The Irish Wolfhound Club was founded in 1885 and it was recognized by the AKC in 1897. In 1902 a hound was first presented to the Irish Guards as a mascot. It was recognized by the Kennel Club as a sporting breed in 1925. The Irish Wolfhound Society was founded in 1981. 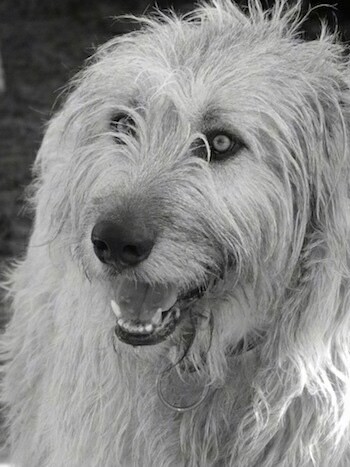 Ivan the Irish Wolfhound at 3 years old—"Ivan is around 200 lbs. and 37 inches tall at the shoulder. He's such a gentle boy and we feel blessed to have him in our home." Brendan the Irish Wolfhound is with his owner/breeder, Frank Winters, who is 6' 1" BTW!! It really puts the breed's size into perspective!! Brendan is about 180 pounds (82 kg). This is Grainne with owner/breeder Frank Winters. Grainne is Brendan's little sister/littermate.